Easy to use, cushioned, pistol grip dispenser makes appluing carton sealing tape easy. 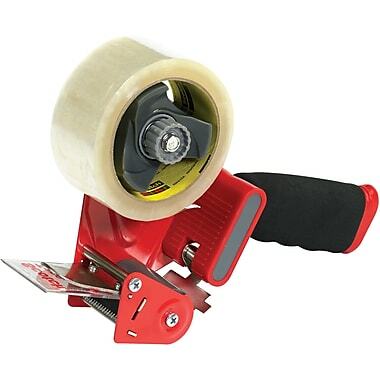 Sturdy, durable tape dispenser holds 2" tape on a 3" core. Adjustable breaking mechanism applies tension to tape.